Akitio, creators of premium, high quality, external storage solutions, today announced an important expansion of their storage product offerings - to integrate hard drives into select Akitio storage enclosures. The expansion creates a new line of products for Akitio as previously the company sold only unpopulated enclosures. 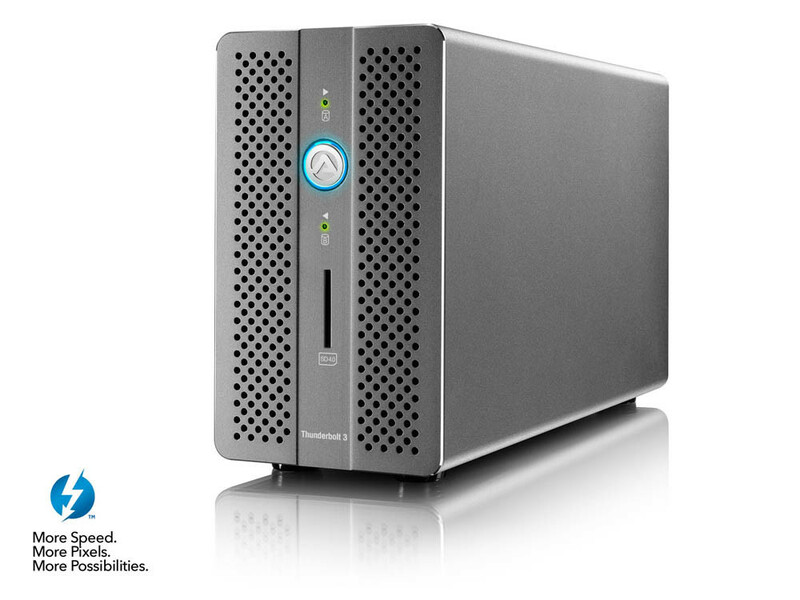 The first Akitio enclosure that will be available with drives will be the new Akitio Thunder3 RAID Station and it will be populated with two Seagate 2TB Iron Wolf Pro drives. 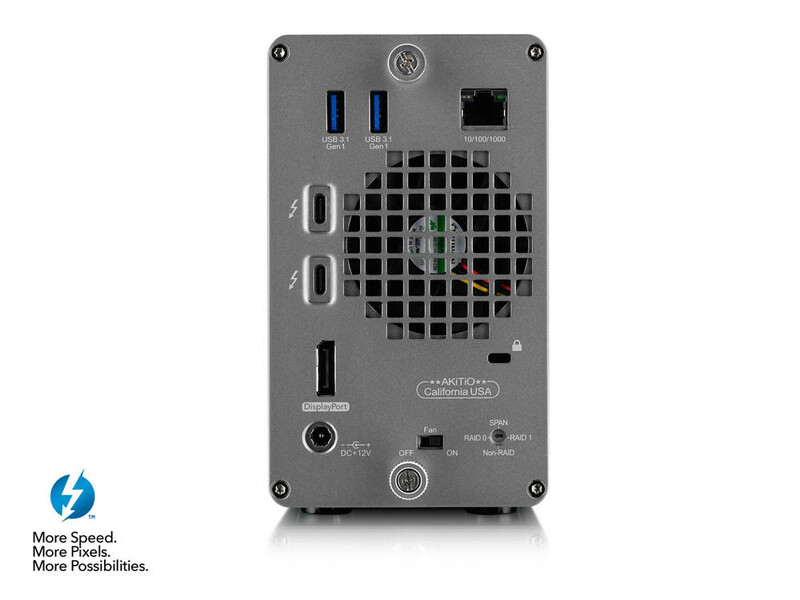 Akitio also plans to offer higher capacity drives and also incorporate them into other Akitio enclosures. This new product expansion makes Akitio products even more flexible than they already were by offering consumers and businesses the option of purchasing either a fully populated, plug and play storage solution or an empty enclosure and installing their own drives. "We are very excited about this new offering as many of our customers have asked us to offer complete storage solutions with drives optimized for maximum performance and reliability. Offering the customer expanded options helps Akitio be more competitive in the ever-growing external storage market," said Richard Wright, Vice President of Sales and Marketing for Akitio. 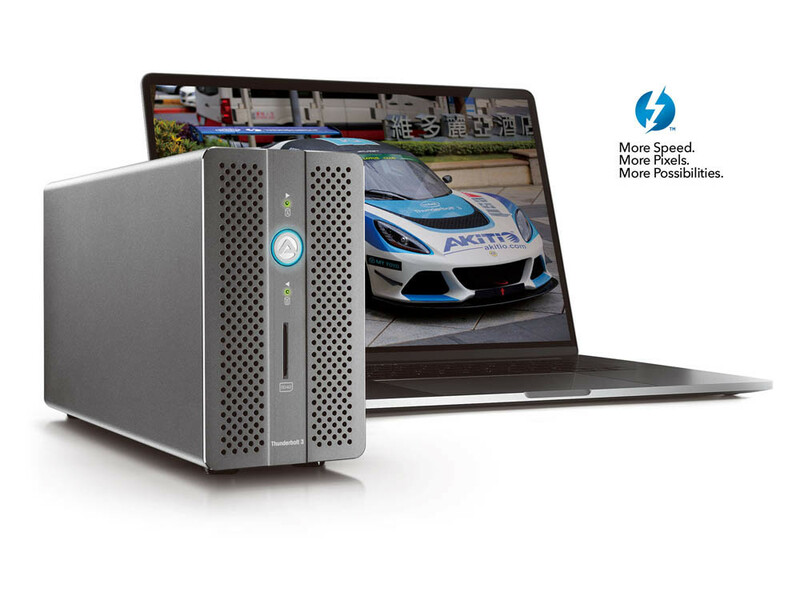 The all-new Akitio Thunder3 RAID Station is a Thunderbolt 3 2-Bay hardware RAID storage enclosure that also features several other I/O ports making it not only a storage device but also a docking station. The RAID Station features an SD card slot on the front of the unit. On the rear of the unit there is a dedicated DisplayPort for adding a second monitor, a Gigabit Ethernet LAN port, two USB 3.1 Gen1 host ports and two Thunderbolt 3 USB Type-C ports for connecting to a laptop and daisy-chaining additional devices. The two IronWolf drives can be configured to become two independent disks, or become a single RAID 0 or RAID 1 storage space by the RAID controller which is built into the RAID Station. The RAID Station also provides 27 watts of power to recharge laptops. The 4TB Akitio RAID Station with two 2TB Seagate Iron Wolf Pro hard drives is expected to hit the market in early February 2018. Pricing will be at $619.99 for the 4TB model and the empty enclosure will be priced at $369.99. Damn if they beefed that up some more and also threw in a GTX1070 or GTX 1080 in there too it would be just a wonderful accessory for laptops and lower ended higher ended port rigs (Thunderbolt and the likes)!! !